Rudolph Dassler, the brother of adidas founder Adolf Dassler, established Puma in 1948. The brand has designed and produced a wide range of sports products over the years and is perhaps most famous for its soccer boots, worn by superstars around the world including Pele, Johan Cryuff and Kenny Daglish. In 2010 PUMA North America acquired Cobra Golf thus creating a new and exciting branch of the brand, PUMA Golf. 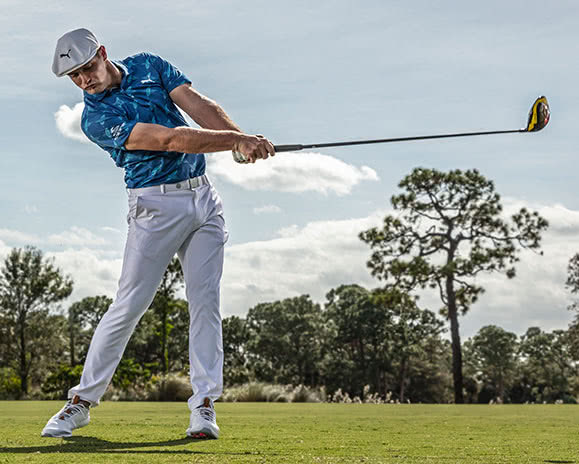 The line’s introduction into the world of golf has come at a time when the apparel of players is becoming more of a fashion statement and a much talked about element of the game. Puma have found a loyal and successful group of brand ambassadors on Tour including Rickie Fowler, Bryson DeChambeau, Jonas Blixt, Lexi Thompson and Anna Nordqvist. At GolfOnline we are pleased to carry an extensive selection of the Puma Golf range. 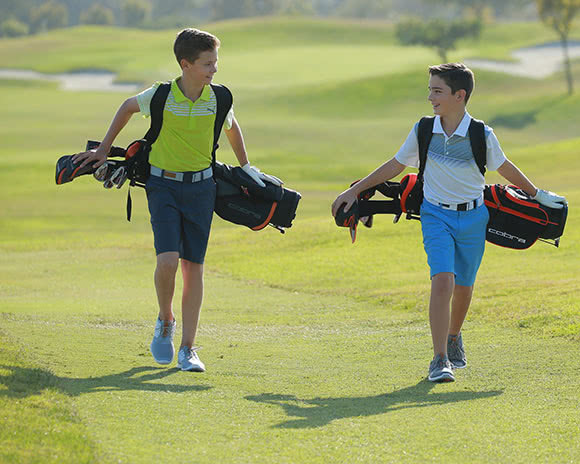 From the vibrant and super comfortable Puma EVOKNIT Polo Shirts to the incredible Puma Golf Ignite Golf Shoes, you’ll be able to find the precise apparel and accessories to finish off an exciting and unique look for the course. If for any reason you cannot find an item on our website, contact us and we can order directly from Puma (subject to availability).